Stephen Taranto is bristling with energy and virtuous aural displays on his debut. Permanence is a firm start, albeit one that isn’t properly crystallized. Australia has absolutely no shortage of amazing progressive groups and musicians. 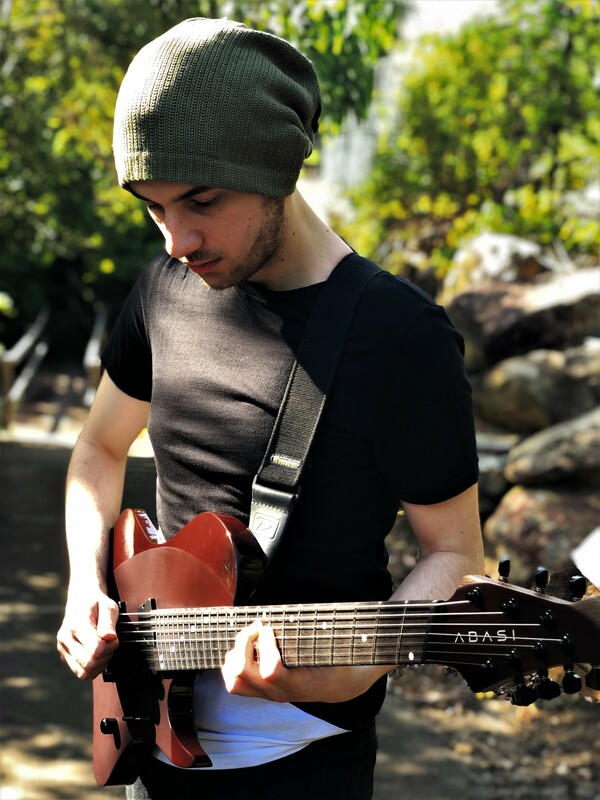 Hailing from there, Stephen Taranto is one of the guitarists in The Helix Nebula, a Sydney-based instrumental progressive metal band. Permanence is Stephen’s debut album and will be released fairly soon on his Bandcamp. Whoever enjoyed The Helix Nebula‘s Meridian will definitely have a great time passing through Permanence. Permanence clocks in at precisely thirty minutes, making it a short ride. It is fairly dense for its length (which only makes sense) and while its strength lies in its engaging and bright exhibition, it compensates with a lot of chugs to bridge the gap between light and heavy. There doesn’t seem to be any clear line between the songs, they all kind of melt together giving the impression of one big segmented song. The album is stoutly driven by flourishing and fluid guitar work which is paired with ambiental keyboards and other effects. The drumming doesn’t stand out in any particular way. It aptly holds together the bedrock of the album, while offering nothing else, and the same goes for the bass work. This isn’t unusual though, most instrumental progressive metal bands rarely drive their sound with more than their guitar. It would’ve been nice, however, to catch a break from this particular mold. There are a few memorable bits scattered across, in spite of the fact that no one song manages to stand out particularly. The presentation and sound scheme of the record easily overshadow the songwriting. That’s not to say that the songwriting is bad in any way, but it feels like there’s a sense of identity that is yet to be achieved in a proper, fleshed out manner. Permanence kind of sounds like Meridian if there would’ve been more djenty tinges and a Plini-esque vibe. The album doesn’t feel like it has a narrative flow either, even though it feels like a nice ethereal journey. There’s a lot of back and forth between a lot of guitar doodling, chugs, and ambient breaks. This is also the quality that makes it engaging. The production is very well polished, maybe too polished. The tones are tight, crisp, bright, and well articulated. Fidelity is great, there is plenty of space between each instrument’s voice. The layering feels a tad linear, maybe less compression would be welcome. Otherwise there isn’t much to underline in this aspect. Performance wise, there is quite simply only praise. Stephen Taranto shows off a great deal of technical prowess without becoming overly indulgent. All in all, in spite of some minor shortcomings, Permanence is a solid album. There are very few artists that manage find their identity around their first release, so maybe we’ll have to wait a little longer for Stephen Taranto to completely bloom. Permanence among other things really fills the void of no new The Helix Nebula material, so that’s something to consider as well. Fans of instrumental prog can definitely get a hearty pile of kicks out of this record and maybe even others can do so. Next PostCandlemass - "The Door to Doom"